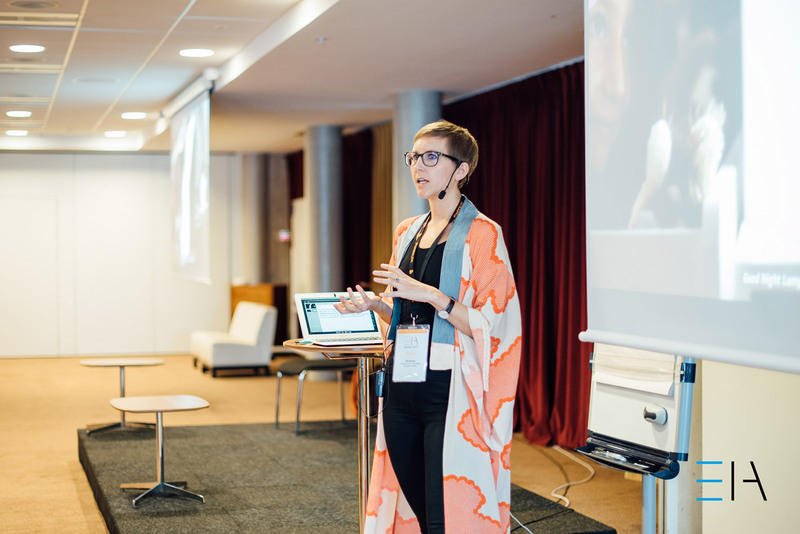 Two weeks ago I had a lovely time speaking about my current research interests and questions surrounding Smart Implicit Interactions with industry practitioners at EuroIA 2017 in Stockholm! 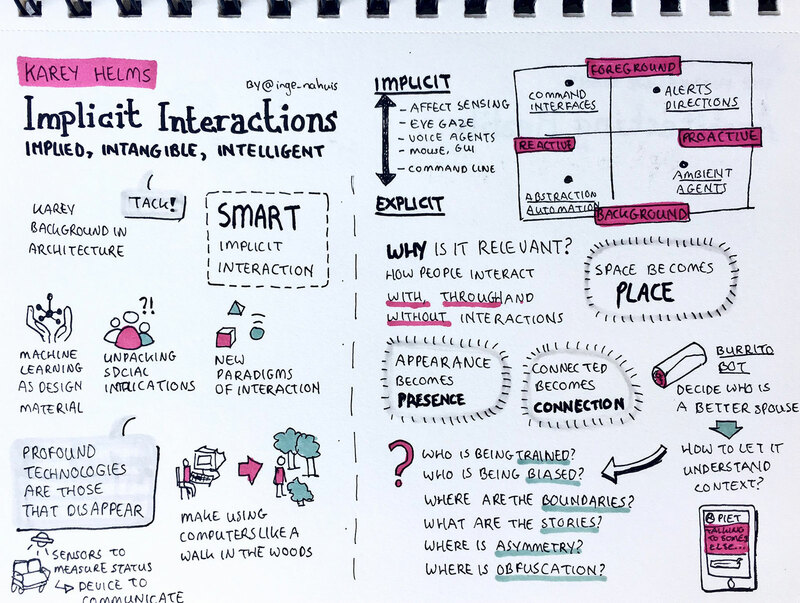 Thanks EuroIA for the INTENSE photo above and Inge Nahuis for the sketchnotes below! This entry was posted in AI / Machine Learning, Conference, Implicit Interaction, Interaction Design, Internet of Things, Stockholm, Talk on October 11, 2017 by admin.